We’re happy to report that we raised $517.00 for the Cut-a-Thon and couldn’t have done it without your support! Thank you for participating in this global effort for breaking the Guinness World Record and for supporting The Clean Ocean Action! You can still help in the effort! Change lives, $12 at a time. 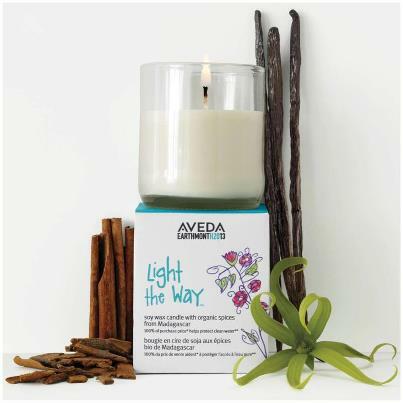 One Light the Way Candle purchase can support the transport of clean drinking water to those in Morocco. Pick up yours today! HELP US BREAK THE GUINNESS WORLD RECORD! Congratulations to our massage therapist, Leah Allen-Costa and her husband on their baby girl! A more subtle benefit of massage is that it encourages us in realizing that we make better decisions and enjoy life more when we feel good. We have this opportunity to spend time in our bodies and we almost as if suddenly feel empowered. When we feel physically, emotionally, and spiritually well rested and nourished our quality of life, regardless of the circumstances is improved exponentially- we start savoring the simple taste of food, enjoying our livelihoods and relationships, sleeping better, and suddenly finding more time to do more things that are meaningful to us. Sounds too good to be true? It’s not! Let’s start simple. This week I’ll start with listing all the things that I find myself offering to my clients time and time again. Then in my next blog we’ll move forward in the following weeks by talking in more depth about how and why to make any or each of these ideas apart of your every week or even everyday routine. Gift Certificates are also the perfect gift! Stop in and pick one up or we can mail it to you. Why You Should Get a Massage TODAY! ….instead of waiting until the morning you wake up with a stiff neck or can barely get out of bed due to back pain. In the past few weeks I have had several clients come to me in excruciating pain. I can’t help but put this reminder out to everyone- pain is an indication that our musculoskeletal system may not be functioning as efficiently and smoothly as it could be. And usually there are some indications early on that something needs to be done sooner rather than later. If personal experience in my body and working with countless numbers of other bodies has taught me anything its that these incidents of discomfort can be prevented well before we are in serious discomfort. We only need to take the time to listen to our bodies and respond. The sooner you react and address some of these early warning signs – the faster your recovery and the less likely you are to fall victim to reoccurring injury and discomfort. Massage therapists are not doctors but it has become quite obvious to the folks that are -stress is the main cause of disease in the body. Been spending a few extra hours at the office each night this week? Just finish a big project? Spend a weekend with your in laws? The truth is that all work and no play or reward for ourselves will surely catch up to us sooner or later. So what are you waiting for? -reducing reoccurring pain & injury. Coming up next time- self care tips to help maintain those warm fuzzy feelings for the days after your massage. Does the impending snow storm have you changing your weekend plans? 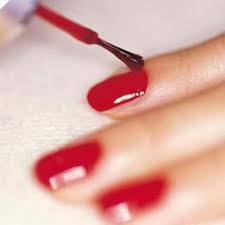 Come in and enjoy hair, skincare, or nail services this Sunday! We are open from 12:00pm to 5:00pm. What a great opportunity to gain even more points just by purchasing the Aveda items that you love! Not transferrable or to be combined with any other offer. This Monday, January 21st is Martin Luther King Junior Day and we will be OPEN from 10:00am-4:00pm.